Many people have been following the X22 Report Financial Collapse Analysis podcasts on a daily basis. If you’re like me, you’re extremely worried about what US central bankers/US government will do before, during, and after the upcoming economic crash. One thing is certain, the indicators show this crash will be far worse than the meltdown of 2007/2008. Personally, I fear a “haircut” on my savings account as was the case in Greece a few years ago. None of us can afford a 10% reduction in our finances, especially since over half of Americans have household debt exceeding $25,000.00. Once my preparations of food, water, clothing (especially socks, shoes and boots because there are no shoe/boot manufacturers in the USA), alternative light and heat sources, cash, silver coins, vitamins, and medication had been made, I decided to make some extra cash in the cryptocurrency markets, specifically Bitcoin, Litecoin, and Ethereum. Bitcoin is money for the Internet. It is a scarce digital commodity used as money by millions around the world. People buy coffee with Bitcoin at local shops. Others get paid in Bitcoin and use it to shop online. Friends use it to settle with whoever paid for dinner. Workers send Bitcoin back home to help family, regardless of where they live. Bitcoin is more than a system to store and transfer value from one person to another. Bitcoin is a protocol, a computer network, and much more. Read the Getting Started guide first, then head over to the FAQ to learn more about Bitcoin. The first cryptocurrency to be created was Bitcoin back in 2009. 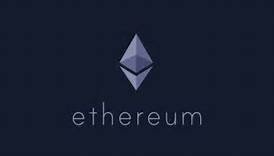 Today there are hundreds of other cryptocurrencies, often referred to as Altcoins. Most cryptocurrencies are designed to decrease in production over time like Bitcoin, which creates a market cap on them. That’s different from fiat currencies where financial institutions can always create more, hence inflation. Bitcoin will never have more than 21 million coins in circulation. The technical system on which all cryptocurrencies are based on was created by Satoshi Nakamoto. While hundreds of different cryptocurrency specifications exist, most are derived from one of two protocols; Proof-of-work or Proof-of-stake. All cryptocurrencies are maintained by a community of cryptocurrency miners who are members of the general public that have set up their computers or ASIC machines to participate in the validation and processing of transactions. Litecoin is a Bitcoin Fork What is a Bitcoin fork? Introducing new features into the Bitcoin protocol requires causing a fork in Bitcoin. The word fork in Bitcoin has a different and more complex meaning from the usual software development one. One might think that this is simple to introduce new features in the protocol — just release a new version of the software, and tell all nodes to upgrade. In reality, it's just impossible to assume that every node would upgrade. Some nodes in the network would fail to get the new software or fail to get it in time. We can differentiate between two types of changes: those that would cause a so-called hard fork and those that would cause a soft fork. A hard fork in Bitcoin is needed to introduce new features into the Bitcoin protocol that were previously considered invalid. That is, the new version of the software would recognize blocks as valid that the old software would reject. Hard forks make the block chain split, and branches will never join together again. Every node in the network will be either on one or the other side of it based on which version of the protocol it is running. A recent example is the block size increase according to BIP-101 (https://github.com/bitcoin/bips/...). A soft fork avoids the permanent split that a hard fork introduces, and is applicable only when adding features that make validation rules stricter. The nodes running the new software will be enforcing some new, tighter, set of rules. Provided that the majority of nodes switch over to the new software, these nodes will be able to enforce the new rules. An example of a change that was made via soft fork is pay-to-script-hash. Pay-to-script-hash was not present in the first version of the Bitcoin protocol. This is a soft fork because the old nodes would still be able to verify a valid pay-to-script-hash transaction. As interpreted by the old nodes, the script is simple — it hashes one data value and checks if the hash matches the value specified in the output script. Old nodes don't know to do the additional step of verifying that value itself runs a valid script. We rely on new nodes to enforce the new rules, i.e that the script actually redeems this transaction. Finally, in the future new cryptographic schemes or extra metadata in the coinbase parameter with a particular meaning could be introduced via a soft fork. Cryptocurrencies are used worldwide. 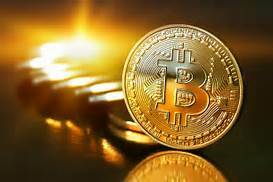 You can help grow the digital currency community and earn free Bitcoin. Using digital currency is more fun with friends! You can invite your friends by sharing your affiliate link once you create your Coinbase wallet. Once your friend buys or sells $100 of digital currency or more, you will both get $10 of free Bitcoin. As with any investment, do your own research. The X22 Report is "one man's opinion". Anything that is said on the report is either opinion, criticism, information or commentary, If making any type of investment or legal decision it would be wise to contact or consult a professional before making that decision. Use the information found in this article and videos as a starting point for conducting your own research and conduct your own due diligence before making any significant investing decisions. It is recommended that the quotes should not cover more than 50% of the whole post. At least 50% of the content should be original. If you reply to this comment directly, we may not notice your response. It is recommended to contact us in our Discord Channel, instead.